When holidays are calling, these tropical print trousers are just the thing to pack. Made from drapey fabric, they're super lightweight for your suitcase. 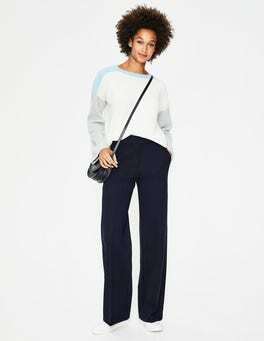 And with a slim, tapered leg and a drawcord waist for a flattering fit, they're smart enough for dinner out.